Outfitting your boy or girl can be a chore. Some kids like to pick out their own outfits, some girls like to only wear pink, some boys only want to wear trucks. All you need is an assortment of good, decent-quality clothes that makes both you and your kids happy. stores. Try shopping at the end of summer for deals on bathing suits for next summer; likewise, shop for fleeces and winter jackets in spring for the best prices. and visit a fabric store to create your own designer duds based on looks you spotted. Children’s Place and Janie and Jack. You can add interesting items to a child’s wardrobe with recycled and reused clothing. 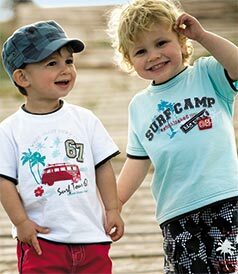 Check out your local secondhand shops and consignment stores for unbelievably priced kids’ clothing. are done with them. Wasting space in your home trying to store unused clothes does no good, but those same clothes can be a boon for the family of a child who fits them.